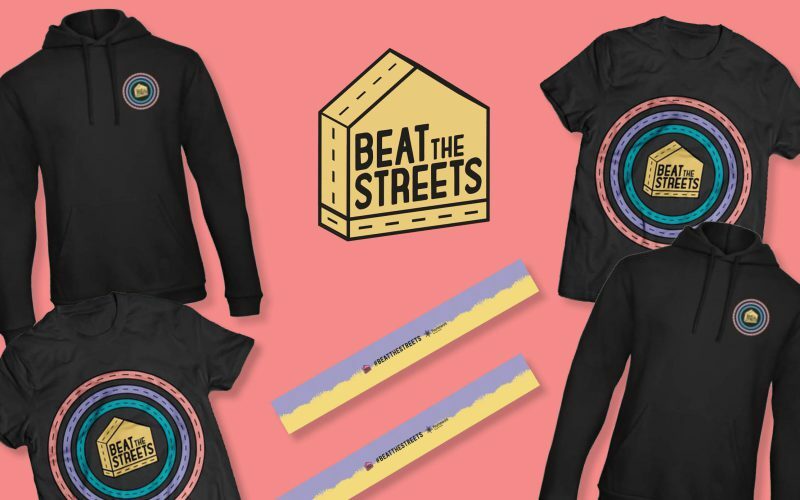 National Merchandise is proudly returning for a second year to produce the official event merchandise for Beat the Streets – a one-day multi-venue event in aid of charity. Taking place across the city of Nottingham, the festival is in support of the charity Framework, which aims to help improve the lives of homeless people in the area. Over 80 talented artists and musicians will be featuring on more than ten stages on Sunday 27 January, with tickets costing from just £5 and all proceeds going to Framework. This year’s line-up includes special guest, Nottingham-born musician Saint Raymond, as well as artists such as Alice Robbins, Ajay Henry and Sancho Panza. Official Beat the Streets merchandise available to purchase, from £3, include a souvenir wristband, programme, badge, t-shirt and hoodie. All proceeds from merchandise sales will go towards Framework and helping homeless people in need. Merchandise is available to pre-order now, with collection on the day of the event from Rock City, on Talbot Street in Nottingham. Simply visit www.alt-tickets.com. For more information on Beat the Streets 2019 as well as tickets, visit www.beatthestreetsuk.com.